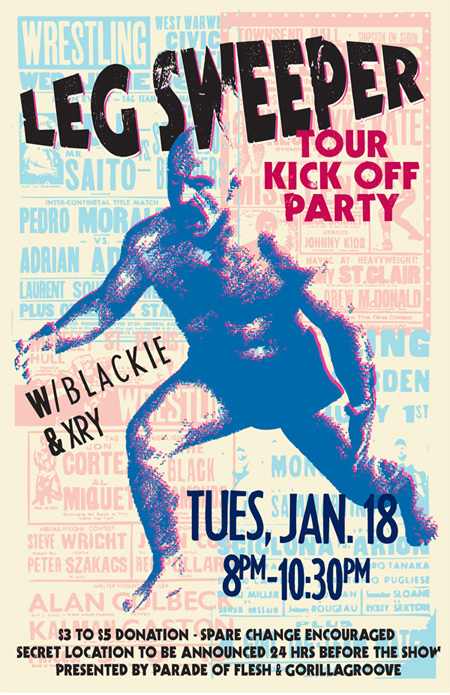 This is Leg Sweeper’s tour kick-off party, donations of $3 – $5 encouraged. BYOB, but I am hearing rumors of beer being on hand. This entry was posted on January 17, 2011 at 7:00 pm, filed under News.